Lunchtimes at Penair School have been transformed into a slick, streamlined process thanks to their Benchmark tables that set up and store away in seconds. 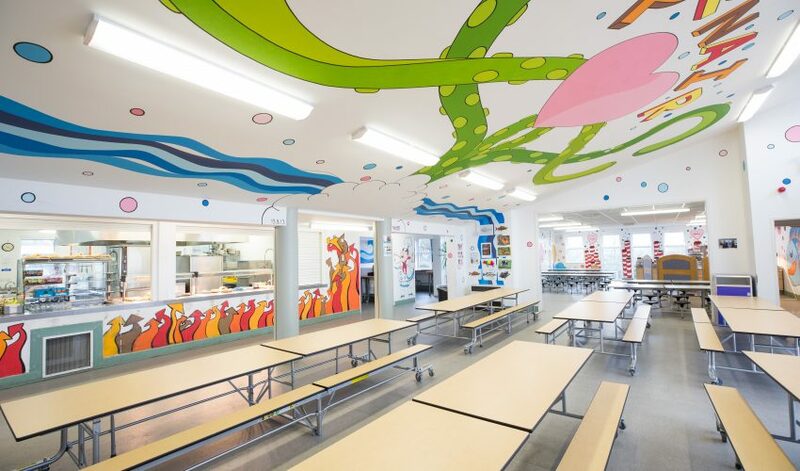 The staff at Penair School were in need of a dining solution that would reduce the amount of time their catering staff spent setting up and cleaning their dining tables. So, they called on the solution finders at Westcountry Group. 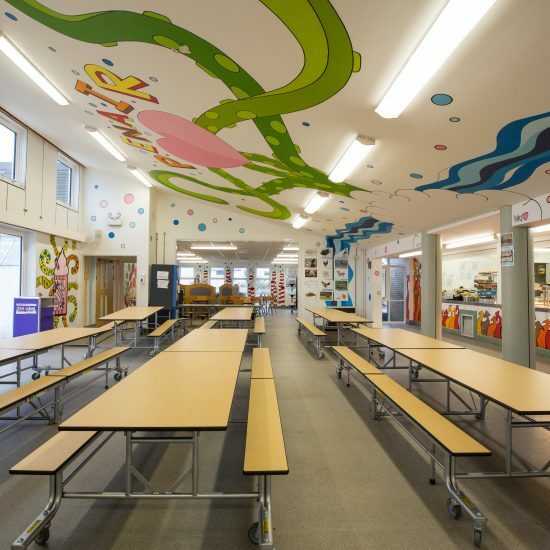 We supplied the Benchmark folding dining tables, meaning Penair can seat nearly 100 pupils on just six tables. 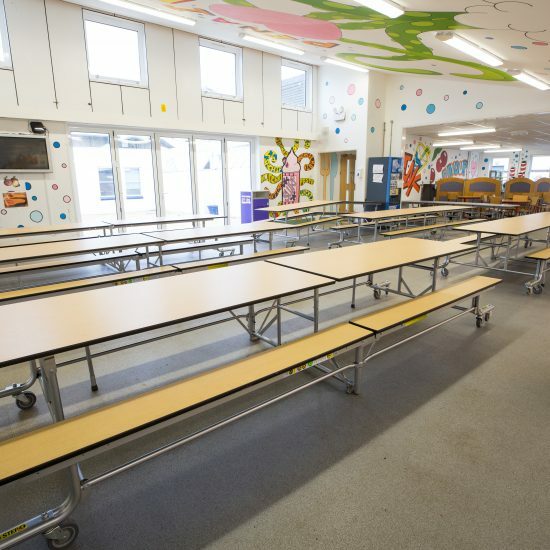 When lunchtimes are over, the catering staff find the tables easy to clean and can quickly put them away without risk of injury. Furthermore, when nested together, the six tables will store in the floorspace of a king-sized bed! Versa’s Benchmark tables are ideal for schools like Penair that have a multi-use hall which gets used for other activities throughout the day. Their ability to store in neary half the space of standard folding dining units means you can discover more space and more capacity in your hall. Plus, their ability to set up and fold away in under 10 seconds means that schools are cutting back on the hours their catering staff work setting out and clearing away at lunchtimes. “The kids really love them, they sit together better than they did before. The staff like them because they’re easy to clean and they’re easy to put away at the end of the shift. The space works much better, it works a lot easier for us and everyone’s happy with it.” – Marianna Lucas, Head of Catering.